Weekend betting: What are Preston North End’s odds of a happy Gentry Day at West Brom? 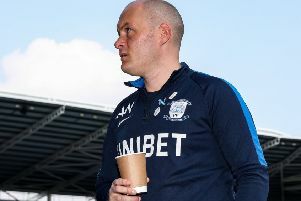 32Red’s betting expert Jack Milner takes a look at PNE’s trip to The Hawthorns to face WBA, as well as the race for the Premier League title and the Scottish Grand National this weekend. Three consecutive defeats have seen Preston tumble down the table and those coupled with wins elsewhere for the chasing pack must surely mean the end for their late push for a play-off place. Ben Pearson’s sending-off just minutes after the interval proved ultimately costly as North End lost 2- 0 to Leeds in midweek and they need a response when heading to a West Bromwich Albion side that are already booked for a top-six berth, barring a disaster. The Baggies are 10/11 favourites with 32Red, PNE 3/1 and the draw 11/4. PNE fans are sure to turn The Hawthorns into a great atmosphere with more than 2,000 away fans making the visit for ‘Gentry Day’ and I hope they go away with something to celebrate. The Lilywhites are 5/6 to avoid defeat in the Black Country and I like the 13/2 for a 1-1 correct score. Liverpool’s title bid has been kept alive with two dramatic victories against Tottenham, and then Southampton in the Premier League last weekend. The Reds needed a late goal to beat Spurs 2-1 at Anfield, and came from behind to beat Saints on Sunday. As a result the Reds’ have been trimmed to 6/4 from 7/4 to end their long-awaited quest to for the league title. Jurgen Klopp’s side will be crowned champions providing they win their five remaining league games and Manchester City slip-up elsewhere, and Pep Guardiola’s side remain a fair price at 1/2 with 32Red to win back-to-back league titles. City suffered a shock defeat at Spurs in the first of a two-legged ‘all-English Champions League quarter-final in midweek, and were eased to 7/2 from 11/4 for a maiden success in Europe’s elite competition. They are 4/7 to advance to the semi-finals, with Spurs 5/4 and 14/1 to go all the way. European aspirations are put to one side this weekend, with league action dominating and all eyes on both City and Liverpool ahead of a huge ‘Super Sunday’ with City 1/3 to beat Crystal Palace at Selhurst Park, and Liverpool 4/6 to beat Chelsea at Anfield. City’s trip to South London looks something of a ‘banana skin’ game where they could easily slip-up if they aren’t completely focused. The champions have won their last eight league games on the bounce, conceding just two goals in the process, and are impossible to oppose in South London; back them at 23/20 to win the game to nil and 11/2 with 32Red to win by the 2-0 correct score. Liverpool have a much stiffer challenge when hosting a Chelsea side that continues to improve under Maurizio Sarri. The Blues look a big price at 9/2 to cause an upset at Anfield; Liverpool 8/13 and the draw 11/4. After Tiger Roll’s Aintree heroics attentions now turn north of the border, with a maximum field of 28 declared for Ayr’s Scottish Grand National on Saturday. Alan King’s Dingo Dollar heads the market as 32Red’s 8/1 favourite and looks a stonking bet with six places on offer to each way backers.